GoldStar Window Tinting wanted a site that would present a slick and professional appearance for their high-end window tinting services. The website owners also wanted to be able to manage their site on their own after it was completed. 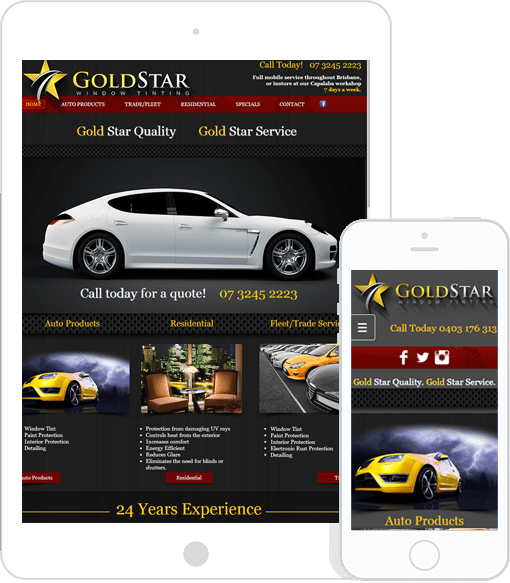 Using Wix, AdChix was able to create a beautiful website that showcases GoldStar’s services. AdChix has been a Wix Pro for more than five years. Wix trusts AdChix to help their customers get exactly the website they want. Visit Goldstar Window Tinting and see for yourself.